Perfect for drying off after bath time, at the pool or on the beach, our new wearable bath towels made from 100% woven terry cotton, are already proving very popular! 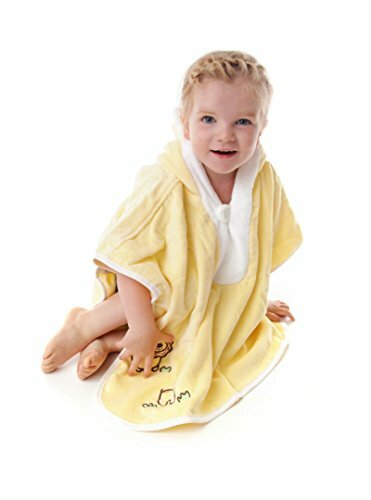 Our luxurious bath robes are soft and absorbent, and they enable your child to stay warm and cosy as they get dry. Your child will love this bath poncho and so will you! If you have any questions about this product by Slumbersafe, contact us by completing and submitting the form below. If you are looking for a specif part number, please include it with your message. Hooded Bath Towel for Kids,Quick Drying Baby Cotton Shower Poncho Wraps for Bath,Beach,Swimming Pool Time,Best Gifts for Toddlers,24x47"